Living in Orange County we have an extensive connection to not just oranges, but all kinds of citrus trees. Orange groves are a big part of our history and before all the housing tracts were around, many acres in the county were devoted to orange trees. In addition to fruit, they have heavenly scented blooms at various times of year and attract butterflies all summer. 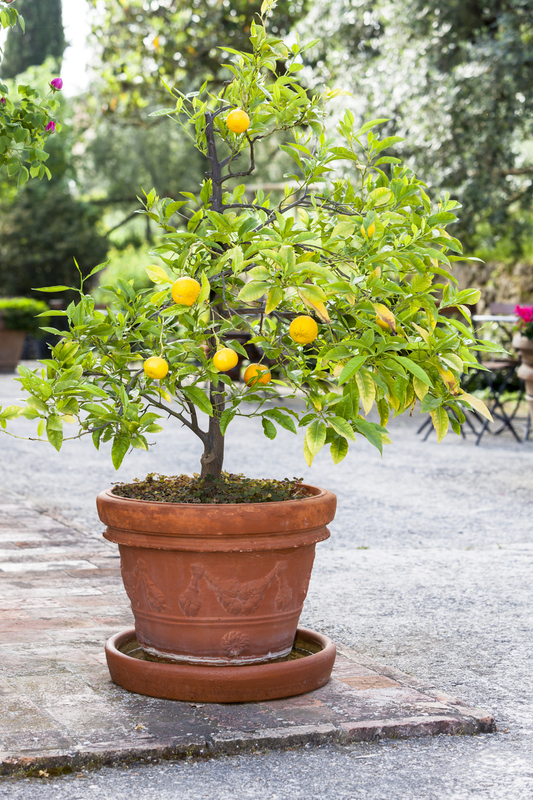 Growing citrus trees in containers are something anyone can do with just a little space. They adapt easily to confined roots and with the right choice of tree, they can bring you enough fruit to keep you happy year-round. There are dwarf tree varieties available in most types of citrus fruit and although they are only a little bit smaller than full-size trees, they are well suited to life in containers. Ask your nursery about good specimens for container growing. Citrus trees do need a lot of sunlight, so finding a place where the container will receive at least seven or eight hours of direct light a day will keep it producing all year. Not enough light will mean little fruit and make the tree susceptible to pests and diseases. Choose a container at least 18 inches tall and wide with good drainage. A heavy container will keep the tree from tipping when it gets loaded with fruit. 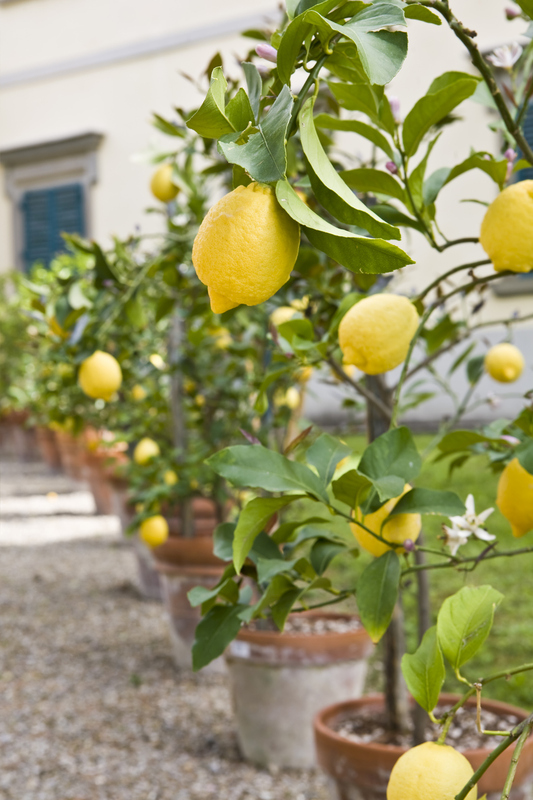 Citrus trees also will work in planters close to the house as long as they have a few feet on every side to grow, good light and adequate drainage. Citrus trees require little pruning, unlike some fruit trees with specific pruning requirements. Keeping them in balance with the pot and convenient to harvest fruit is really all that is required. A sharp spray with the hose is usually enough to dislodge any pests that find your tree. Damaged foliage from pests or disease should be cut off. It is not necessary to spray citrus trees with pesticides or fungicides and living with a few pests is a good habit to adopt. Unless your tree is under extreme stress from lack of light or water, it can tolerate a few bugs. You will need to provide ample water since potted plants dry out easier than trees in the ground. A deep soak once or twice a week in the summer should be sufficient and less in the cooler months. Do not overwater and let the soil go almost dry between watering. Citrus trees are heavy feeders so fertilize them three or four times a year with a plant food formulated specifically for citrus trees. Using an organic fertilizer assures you won’t burn the foliage or overfertilize. Yellow leaves with green veins can be a sign the tree needs food. It may take a year or so for your tree to settle in and start producing a crop of fruit, but whether you choose oranges, lemons, limes or even grapefruit, your citrus tree will be a welcome source of food as well as a beautiful addition to your yard or patio. It will definitely remind you that you live in Orange County!